Fruit salad is a wonderful treat, fruit is sweet and fun to eat, fruit salad is great in any weather, make a bowl to eat together!!! 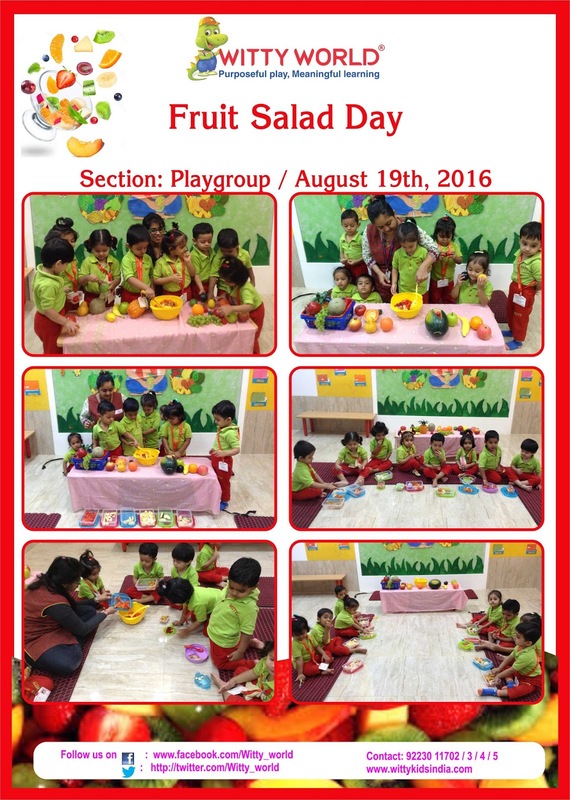 Children of Playgroup section at Witty World learned about fruits this month. 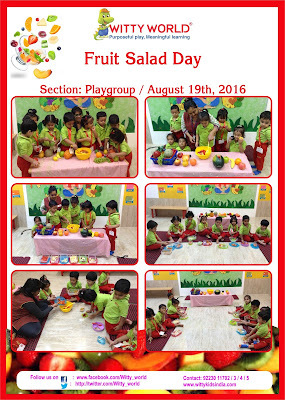 To reinforce the concept, a “Fruit Salad Day” was organised for our little Wittians on Friday, 19th August, 2016. Children brought a variety of fruits in their tiffin. With the help of teachers, children made a healthy fruit salad by, mixing different fruit such as apple, banana, watermelon, pineapple & pear. Teachers explained the importance of eating fruit to remain strong and healthy. Children thoroughly enjoyed the wholesome sensorial experience of creating a colourful fruity delight, and learned its importance too!! !